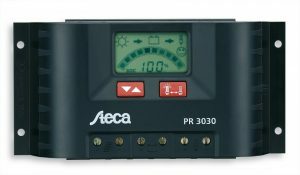 Simplicity, high performance, modern design and a convenient display are all attractive features of the new Steca Solarix PRS solar charge controller. 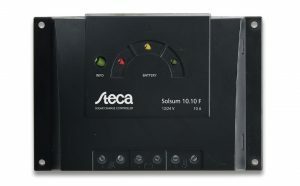 Steca's latest algorithms are employed in order to guarantee optimal battery maintenance. 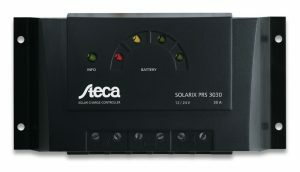 The Solarix PRS solar charge controllers are universal, which means they can be used with lead-acid batteries or gel batteries without the need for complex configuration settings. 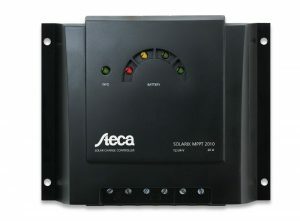 Available in 10 to 30 Amp solar charging and load current capacity. 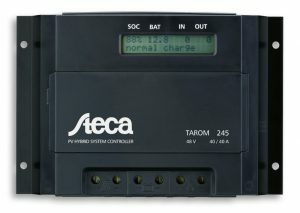 The Steca Tarom is the high end solar charge controller, optimally designed for demanding telecom applications and complex off-grid PV hybrid system architectures. A vast assortment of exciting features allows the user to adapt this controller to the particular needs of the installation in question. Steca's optimised SOC calculation is implemented in the Tarom.